Auto-Scan & Correct. 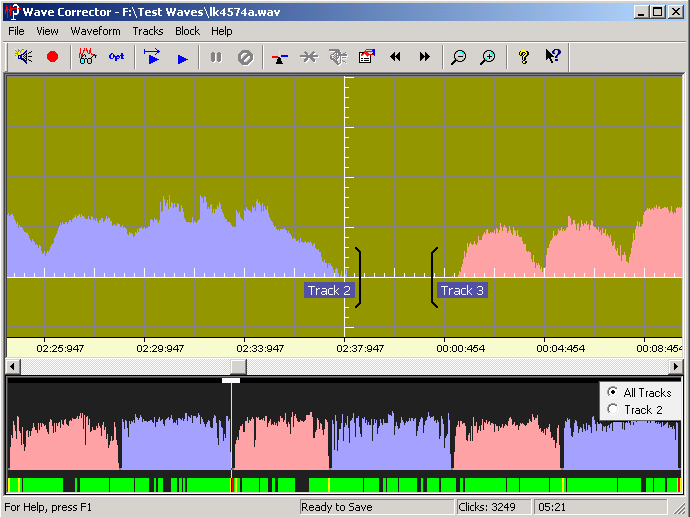 Loading a new wave file into Wave Corrector automatically starts the correction process. 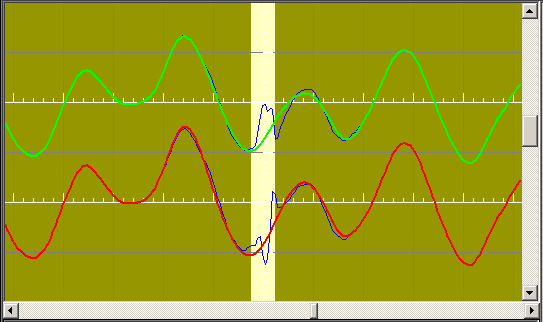 For vinyl, a replacement waveform is generated for each of the detected clicks. 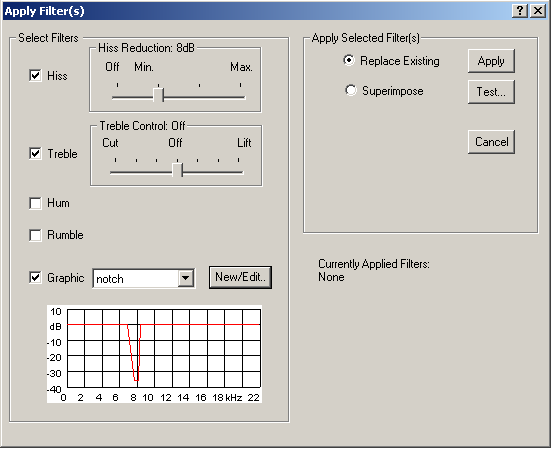 For tape/cassette, a hiss filter is applied. 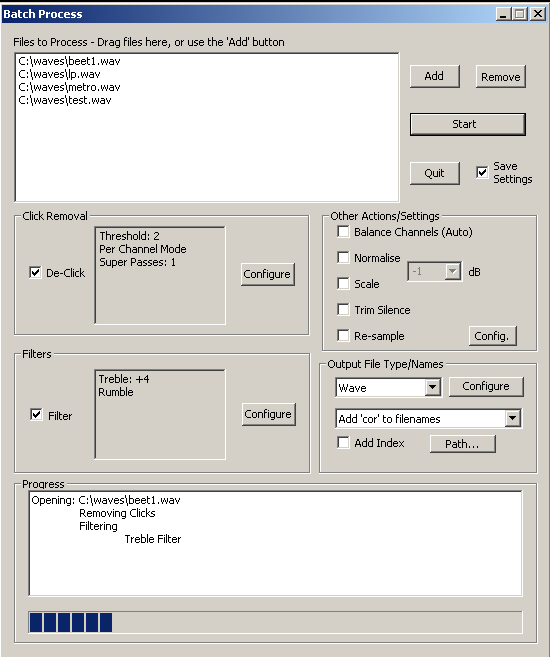 Sound Recorder Window. This provides recording via the Line-In port of the computer's sound card. 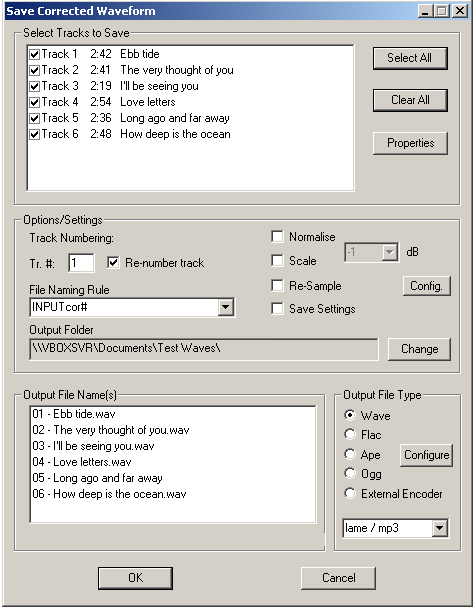 Alternatively you can process wave files which already exist on your computer's hard disk. The recorder also allows you to schedule timed recordings of, say, radio broadcasts. Auto Track Detection. 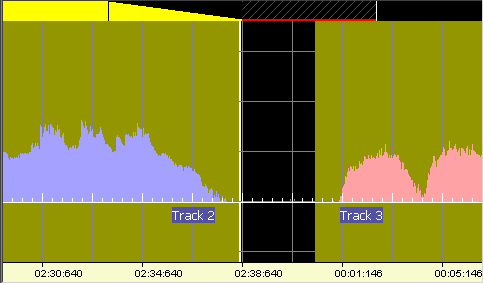 During scanning, track boundaries are detected by searching for periods of inter-track silence. Manual Track Editing. Track boundaries can easily be moved and tracks can be customised by splitting or merging. Add Fades and Silence. Simply drag in the custom bar to add fades or silence to track boundaries. Save Separate Files. 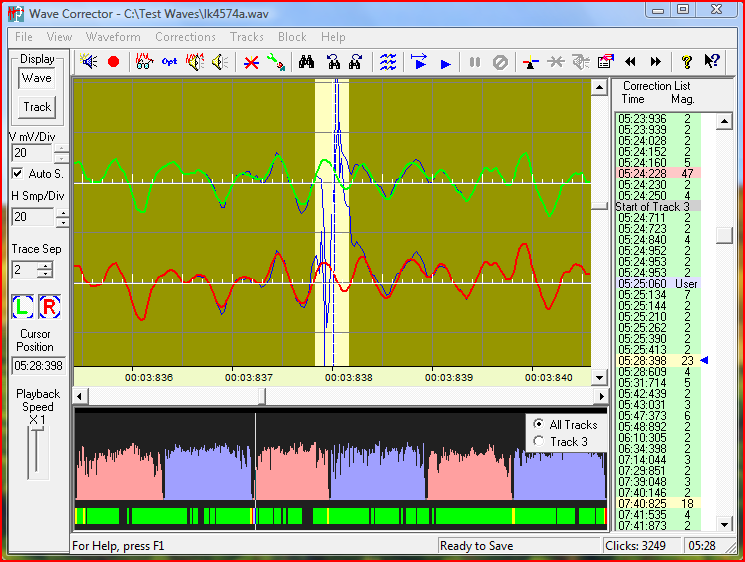 Wave Corrector saves the corrected waveforms to separate files representing each album track. File Tagging and Naming.You can add textual tags to tracks and use these to generate file names and to tag audio files that support tagging. Support for 'Disk-at-Once' Recording. 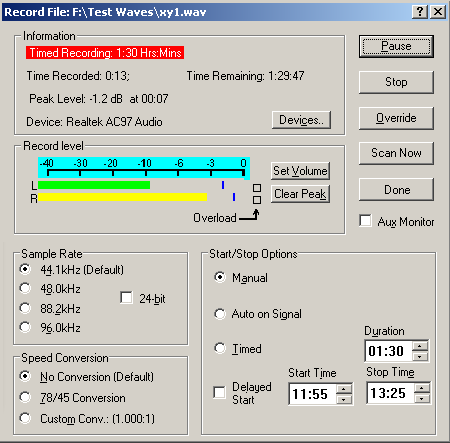 Wave Corrector offers support for both 'Track-at-Once' and 'Disk-at-Once' CD recording modes. 'Disk-at-Once' mode enables you to produce a CD with a seamless track change in the middle of a musical work.